I’m excited for my backpacking South America trip, that much is obvious. Nine months before my target departure date, I’ve already bought the backpack I’ll be using (a Kelty Redwing 40L), stocked up on packing cubes and other travel accessories, and have already come up with a tentative list of things to do in the countries I’m visiting. I’m definitely not a planner; I would rather arrive in a new place and just let my feet guide me. However, South America is South America! 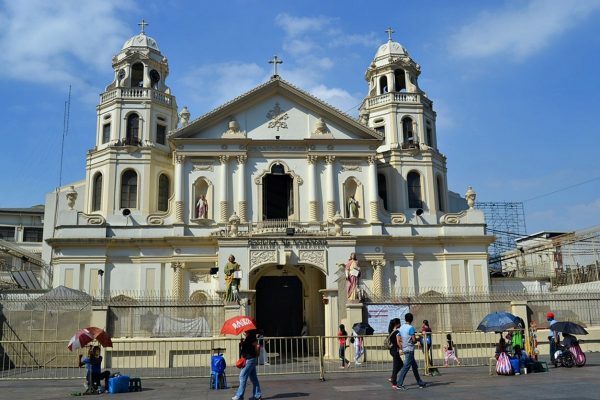 It has been in my bucket list for so long (and it is so far from the Philippines) that it would be a shame if I didn’t make the most of my trip there. There are seven countries I’m planning to visit in South America: Argentina, Bolivia, Brazil, Chile, Colombia, Ecuador, and Peru. Except for Chile and Argentina, these countries don’t require a visa for Filipino visitors, which is why I chose them in the first place. Besides visa restrictions, though, I do have other reasons for choosing these countries. Here are some of them. 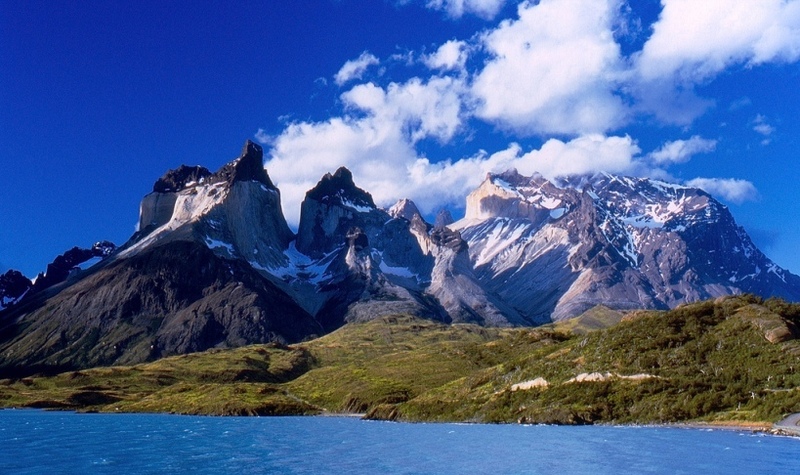 I have no idea if it’s easy to get a visa to Chile, but I’m definitely including it in my tentative itinerary because of Torres del Paine, one of the most impressive national parks in the world that I’ve seen (in photos). Located in southern Chile, people who have visited it say it’s quite challenging to go there, physically and financially. Everything I’ve read say that it’s worth it, though, so I’m glad I still have months left to save up for it. 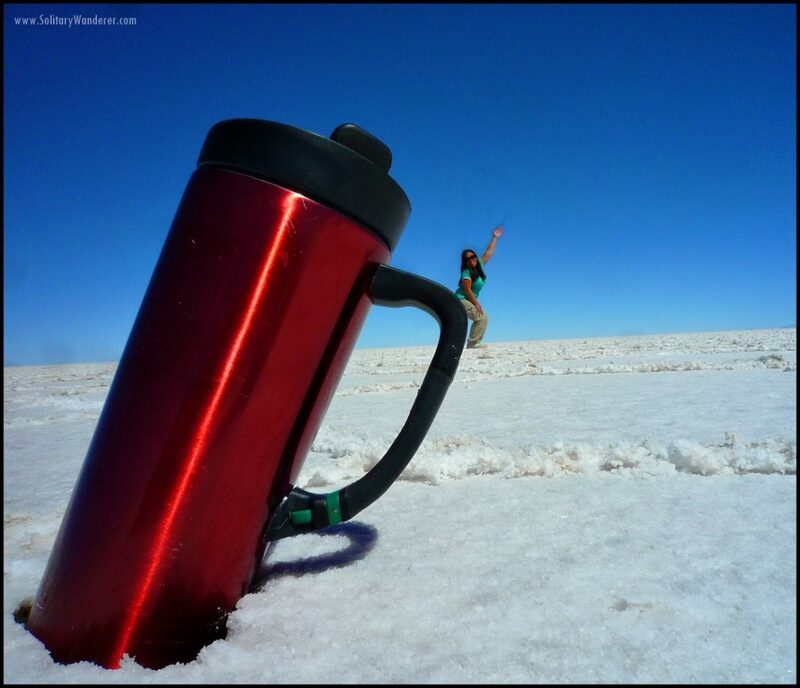 Playing with perspective in Salar de Uyuni. Filipinos get to stay visa-free for three months in Bolivia, so I’m planning on maximizing it. Aside from being one of the cheaper countries in South America, it also has an amazing attraction: Salar de Uyuni, the world’s biggest salt flats. Comprising 10,582 square kilometers, Salar de Uyuni looks out of this world. Because of its flatness, people get creative taking photos there. Amazing, isn’t it? If you’re into wildlife (and want to see animals in the wild, not in captivity), there’s only one place for you to go–Galapagos Island! I’ve read numerous blog posts and seen lots of pictures, and even though it costs a lot to get there (around $2,000 for two weeks), I think it’s definitely worth it. You’ll see hundreds of sea lions (some will even swim with you), giant tortoises that are a hundred years old, blue-footed birds, lava gulls, and so much more. Would I have the budget for it? I don’t know, but I will really try to go. Of course, I’ll definitely include Machu Picchu in my itinerary. Who can resist seeing this ancient wonder of the world? This 15th-century ruins of the Incas is one of the most popular attractions in Latin America, and I’m glad they’re limiting the number of tourists there per day. I’ve also checked out possible volunteering opportunities in Peru and I found one near Cusco. It’s a children’s home, and I think that my years of experience in the social work field will be useful there. Before the first quarter of 2015 ends, I’ll email them and see if they can accommodate me. 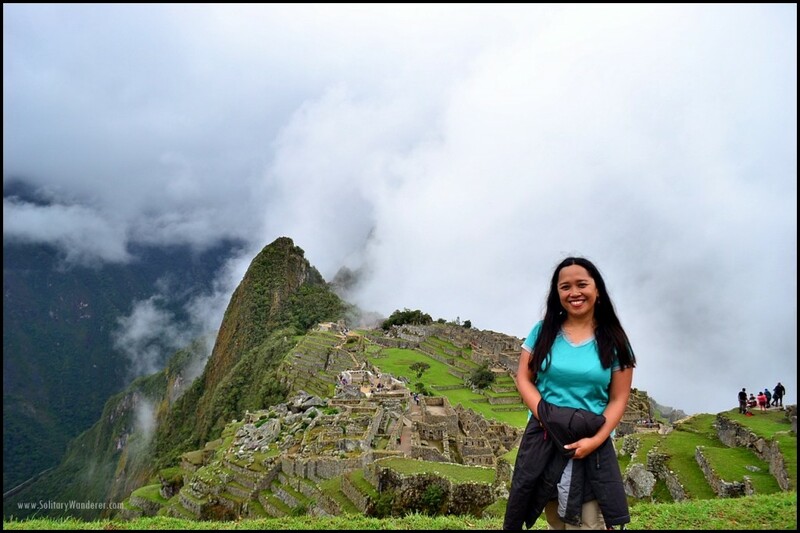 Read my post here: Hiking Solo to Machu Picchu, Peru. 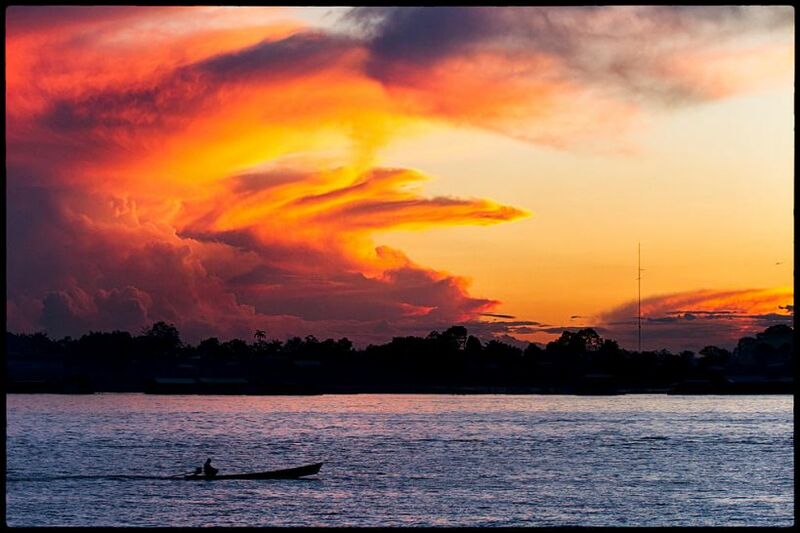 The Amazon River, the second largest in the world, is a must when you are in South America. The main river flows through three countries—Brazil, Colombia, and Peru—so I’m thinking of combining my trip to Machu Picchu with a boat trip along the Amazon. As budget is a consideration, I would probably just take public transport, not take a cruise. It takes longer, but you do get to share the boat with lots of locals (a welcome experience for a writer like me), and it’s much cheaper. Besides, I love slow travel, and I’m pretty this boat ride will be an experience in itself. Backpacking South America is a MAJOR trip for me. It will be my first time to travel for more than three months, and being so far from home, it means I need to prepare more than I usually do for my trips (which meant a day or two of checking out possible itineraries and packing my bag a few hours before my flight — check out this helpful packing list). I’ll have to save a lot—not only for the trip itself but for other expenses as well, like insurance, advance payment for my house, paying my neighbors to look after my cats, and buying a new laptop, aside from other travel necessities. Lake Titicaca, the largest lake in South America, lies on the border of Peru and Bolivia. I also need to study basic Spanish so I can at least say more than Como te llamas, check out other possible volunteering and housesitting options, find Couchsurfing hosts, and a thousand and one other things to do. One of these days, I’ll write a post on how I’m preparing for my trip. I gotta get those out of my head and onto my blog! In the meantime, I’ll keep on saving and checking out useful blogs and websites for backpacking South America. I’m also looking forward to get reasonably fluent in Spanish so I can use Trip Tidy already, a portal focused on travel to Latin America. It looks really easy to use if you speak Spanish. Given all these advance preparation, I’ll definitely be more prepared for backpacking South America than I was during my 70-day backpacking trip in Europe. Given the difference in distance and duration of travel, though, it only makes sense. Even though the idea of long-term travel scares me a bit, I can’t wait to leave already. There’s so many things to see and do in South America! Have you been to the countries I mentioned? What other things can you suggest that I do there? Photo credits (with Creative Commons licenses): Miguel Vieira, Afer2073, Pedro Szekely. South America is great, my favourite country on the ones you mentioned are definitely Boivia. Its so cheap and have lots to see. And I liked Salar de Uyuni. Sounds like a great trip! Come back again soon! So glad to read your Solo Hiking trip to Machu Picchu! I was wondering if you also went to the Amazon, and how did you go about it on a budget? I’ve traveled the entire South American continent. Don’t miss the opportunity to visit the southern parts of Chile and Argentina! You should also add Iguasu Falls and see it from Paraguay, Argentina, and Brazil. Definitely see the Amazon in Peru, Brazil, and Ecuador. If you are there for two years, I highly recommend when you head to the most southern part of Argentina, Ushuaia to find a boat going down to Antarctica! I took my daughter down there in 2013 and we stepped on our 7th continent together. No place on earth like Antarctica. Just like you, I traveled since I was very young. I am also born in the Philippines, but grew up in Guam and moved to California and lived here for almost half my life. So, LA is definitely my home. I recently married a man who I met when I returned from a 6 month trip to Europe at LAX, who was just a friend for 5 years before we started to date. He proposed in Mt. Kilimanjaro and got married 6 months later. We had part of our honeymoon in Palawan in the El Nido Island and Legaspi… We fell in love with the Philippines most definitely! Probably will make it our home in the future. This summer, we will also be in S. America visiting Galapagos Islands after we attend my best friend’s wedding in Cali, Colombia. When will you arrive in S. America? Wow, some of the best spots on earth. Have a great time! But before you go, I advise you to get an insurance. Please e-mail me if you need one. I would love to assist you. It’s my first time to visit your blog and your whole SA plan is very interesting. I’ll look forward to your entries (: I’m planning to travel solo as well by next year. How’s your Spanish doing? I work as a Spanish translator and somehow I feel glad that you’re learning Spanish. In case you’ll need my help (a quick translation of something during your trip), feel free to email me anytime. Oh, love this – it looks like you’re hitting all of the places I would. Macchu Picchu is a dream trip for me. I can’t wait to read more about how you’re preparing as I’m heading to Central America next year. Sounds like a great trip. I’ll look forward to narratives of your travel. I haven’t been to S. America myself, so lucky you! I saw an interesting film once about the floating islands on Lake Titicaca in Peru and think you must check them out. Imagine, these islands are made completely of reeds! I am so excited for you! What great plans, Aleah and it’ll be such a wonderful experience. I can’t wait to follow along. We haven’t been to South America yet so I can’t give any tips but I’m also jealous of your itinerary 😉 The Galapagos and the salt flats are high on my travel bucket list. Good luck with the planning! Hi Mary! 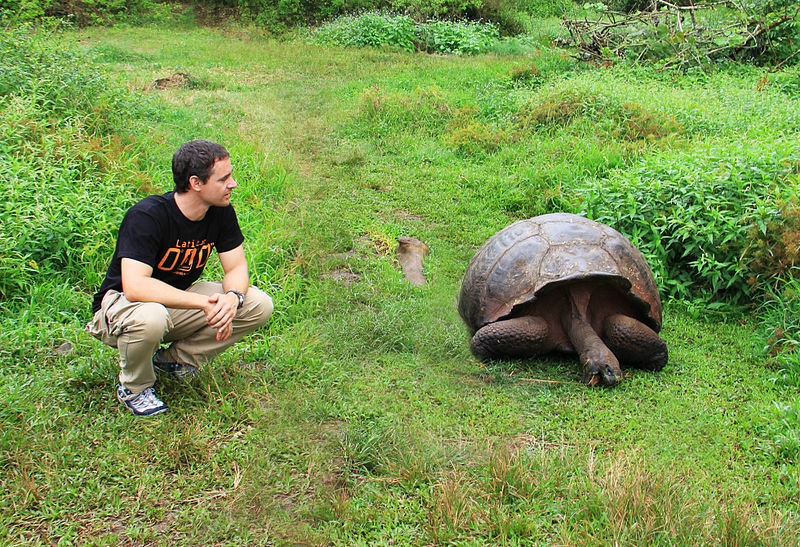 I’m 100% sure your kids would love the Galapagos. I really hope I can go there. Time to work more to save up for that $2,000 trip! 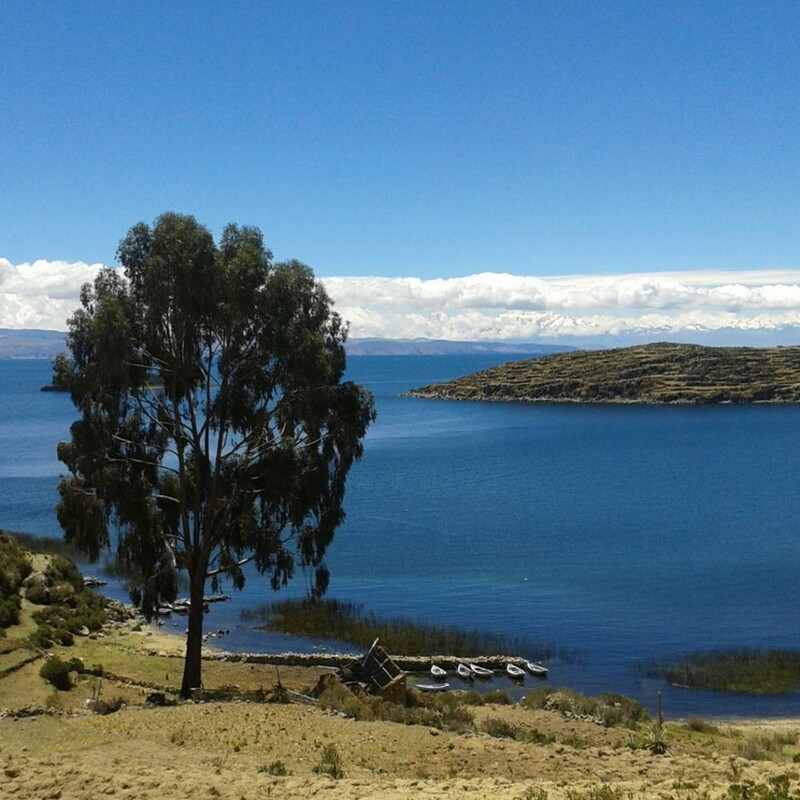 Since you plan to be in Cusco, you should try to visit the Titicaca lake for at least a couple of days. Also if you have time the Colca Canyon is a recommendable place to make a trekking. On the coast side check Paracas, I love that place specially to camp on the beach called “El Raspon”. General recommendations visiting Peru; be very careful with your personal belongings, never hitchhike and bargain almost everything. Definitely speaking spanish will help you a lot. This is an amazing list! You will have a great time- and see so much! Your list is an amazing one and a great start- I can’t wait to see all that you get to see and experience. I lived in Chile and love that part of the world so am very jealous! I don’t know if you’re interested in suggestions, but here are a few: When you’re at the Bolivian Salares it might be worth your time to take a quick trip over to Atacama, Chile- ited in Chile for a year and love that part of the world so am very jealous! Hi Aleah, you didn’t mentioned anything about Rio in Brazil. But if you are planning to come here, let me know and I’ll try to make a part of your trip more fun and easier. your trip sounds so exciting! I have traveled South America extensively and have been to all those countries except Ecuador and Colombia. So let me know if you need some advice! Also you might as well try to squeeze Uruguay in there if you’ll be in Argentina, it’s beautiful! Also remember, Spanish won’t get you very far in Brazil, learn some portuguese too!! Hello, fellow social worker. 🙂 Your upcoming trip sounds great. Looking forward to hearing more about it all. Hi Spinster. My educational background is actually in clinical psych, but yes, I did work for years in the social work field hehe Thanks for dropping by! What an epic trip. Can’t wait to follow along on the adventure. I have only been to Guyana and Venezuela, so I look forward to getting inspiration to visit other countries. Hi Ted! I’ve never been to Venezuela myself. Heard so many good things about though. Hi Franca! If you and Dale go there anytime from 2015 to 2017, I would love to meet you! This is really cool, Aleah! I saw your link to this post in the Travel Blogger Chronicles Facebook group, and I had to comment. I spent 10 months in South America last year with my husband, and we really enjoyed it. 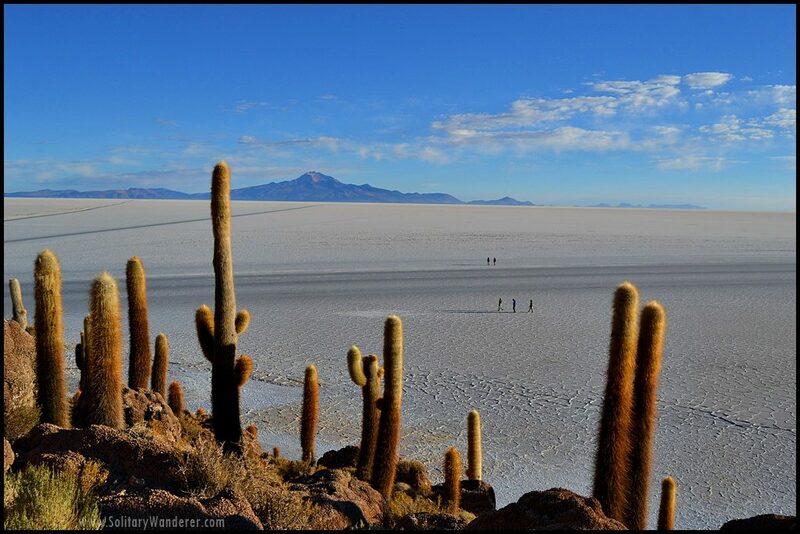 I would add that Bolivia has much more to offer than just the Salar de Uyuni, which, though beautiful, was actually not one of our highlights of the southwest of the country – there are some other landscapes there which are just out of this world! If you like cities, then Buenos Aires is a definite must – it was easily my favourite city on the whole continent with such a variety of food and cultural experiences to be had, not to mention the amazing street art! We often don’t couch surf anymore, as we find it harder to find people to host a couple rather than just a single person, but we had some great experiences the few times we tried it in South America (in Chile, Argentina and Uruguay), so I’m sure you’ll have a great time. Yes, do learn a bit more Spanish, because you will definitely encounter people who speak absolutely no English, especially in more rural areas of the poorer countries like Bolivia and Peru. Have fun! I haven’t been to South America yet but your itinerary sounds amazing!! Aleah, see you in South America next year? However, I’ll have my month-long break from work by November 2015. Tyak Nasa SA ka pa.
Gelo, in November, I’ll either be in Bolivia or Peru. Here’s hoping matuloy ka dun. Let’s meet up! !